The Marcom Group is an award winning, multi-medium marketing agency with an emphasis on branding, web design and web-based application development. We also provide consulting services from basic advertising, social media, search engine marketing and optimization. We take pride in not only building bleeding edge websites, but providing results oriented interactive marketing services to compliment them. 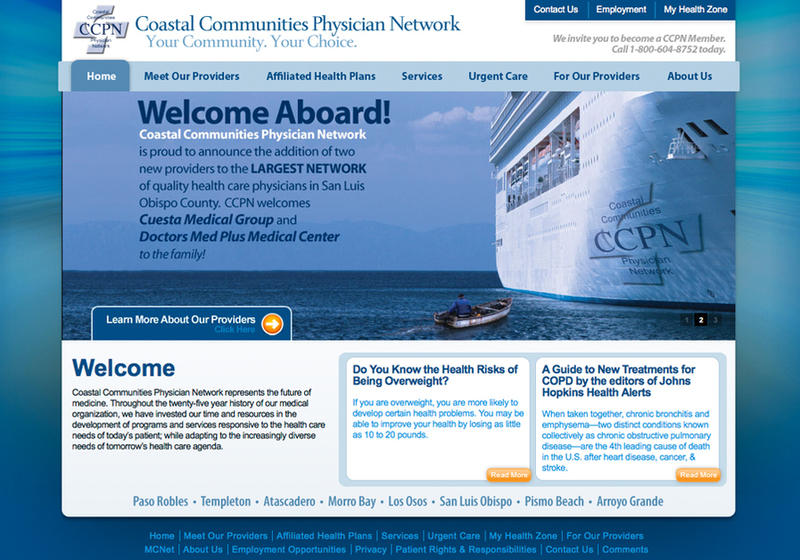 We recently redesigned and launched a website for Coastal Communities Physician Network.